The light all-mountain Hawx Ultra W – with a medium flex perfect for skiers with a medium build. 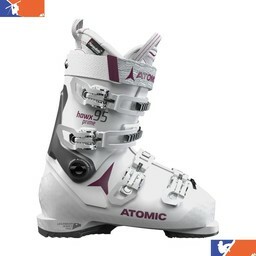 Atomic Hawx Ultra 95 W offers slightly more flex than the 110 – ideal for advanced female all-mountain skiers. 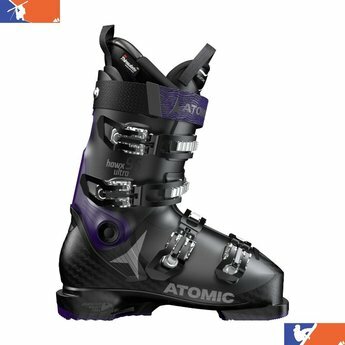 It’s one of Atomic's top Hawx Ultra boots for women, a new range with the legendary Hawx feel now in a narrow 98mm last. It features Memory Fit for a perfect personal fit in minutes, plus 3M™ Thinsulate™ Insulation to keep your feet warm in all conditions and a Memory Fit 3D Silver liner with pre-shaped heel and ankle areas for an even better first fit. 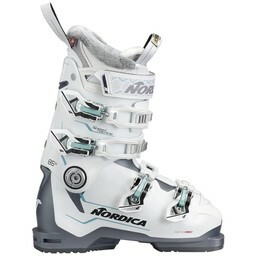 Hawx Ultra is also the lightest alpine boot range Atomic ever made! The reason it’s so light yet powerful is a radical Progressive Shell that adds reinforcement in key zones but reduces wall thickness overall to cut weight, combined with our Energy Backbone – a reinforced, asymmetric backbone that provides extra strength and edge grip for powerful skiing. 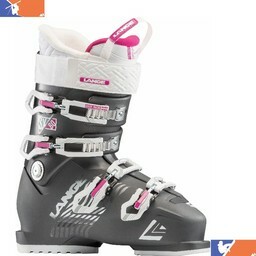 These boots also feature Power Shift, Cuff Alignment and our CantableGrip Pads for complete customization.